The WebVisable Small Business Optimization Package delivers the company’s world-class local search engine marketing services starting at an affordable price point. This is the same high-quality Internet marketing expertise currently used by major global corporations sized to fit a small business budget. WebVisable has over 25 years experience and has been providing expert Internet services to firms large and small. Small and mid-sized businesses are moving online at rapid speed. More and more, consumers turn to the Web first to find the goods and services they need (approx 61% in 2013), and their path almost always involves a search. As a online business you can only survive by making sure that your website that can be found in the search engines. Our Small & Mid-sized business Optimization Package includes on-page local search engine optimization, search engine submission, Facebook, Linkedin and Google+ profiles, Analytics Setup, PPC AdWords setup (if needed) and much more – priced on a monthly basis. Our Small & Mid-sized businesses Optimization Package is for business owners who understand the value of TRAFFIC, but aren’t interested in the many months of learning to do local search engine marketing themselves. Hiring a professional to do the expert work for them, they can concentrate on their core competencies and what they do best — running their businesses. WebVisables’ skilled experts provide the expertise, tools, and hands-on labor required to optimize your local business website so that it can be found for its targeted keywords. This is a full service solution to getting your business on the web. Optimizing a local website to appear higher in the natural and paid search engine rankings requires a combination of improvements, on- and off-site and certainly with social media. There is no magic recipe for search presence. Rather, many individual tasks working together to make the site more competitive, support its relevance to people’s queries, to establish you as an expert, and yield higher traffic from the search engine results. Time is another essential component for project success. Natural search engine rankings usually take several months to achieve depending on the site’s competitive environment. It takes a gradual process of optimizing the site, revising content and publicizing that content to attract inbound links and social presence to build the site’s authority in the search engines. Doing this without spam or penalties is the key, and there are no easy solutions except doing it right first time. Our local search engine marketing services package provides a twelve-month program of services specifically tailored to building and optimizing your site, getting listed in the search results, and attracting links to your website. It’s a project that gets your website quickly headed in the right direction to achieve long-term results. Weekly E-mail communication and Monthly Status Calls for your team with our Team. Optional Services – these services are available for an extra fee. If interested we will gladly review your needs and let you know the cost. Some of these services are one-time fees. Keyword selection is the most critical part of any Internet marketing optimization project. An expert will research your business and local area to identify your project keywords. You may optionally also provide a prospective list of desired keywords that we’ll take into account when we do our research. Keywords will be a combination of location, business name, possibly owner name and several generic keywords appropriate to each business. Those targeted keywords have the best potential for conversion and attracting visitors who will be interested in what the business offers. From this research, we will prepare a list for your approval of up to 20 locally competitive relevant keywords. 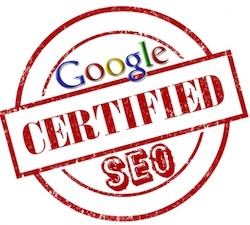 Once we receive your approval, our SEO work to build and optimize the website for those keywords can begin. These words also are used for your optional PPC campaign. Google Analytics enables user behavior and conversions to be tracked. This provides essential data for monitoring your entire Internet marketing optimization progress. Traffic is our goal. Once we establish the targeted keyword list, we will provide a report of your site’s rankings for Google, Yahoo and Bing. Throughout the life of your project we will provide updated Raw Ranking Reports on a twice per month basis to track changes and improvements. If you decide to participate in the Google AdWords program and fund advertising spend through Google, then for a small monthly fee we will setup the Pay-Per-Click account for the selected keywords. If the management option for PPC is selected we will manage your bids and produce monthly summary reports appropriate to that task. Our service includes bid management, business rule management, and price and cost budgeting controls. Every month you will have a scheduled 10–15 minute conference call to discuss the progress of your project. The purpose will be to discuss the reports and answer any questions you may have. As already mentioned, this will not have any training component, focusing on project status information. We evaluate and tune on-page items such as the Title tag, Meta tags, Heading tags, image ALT attributes, and text content for the pages on the site. We will improve the pages as needed to optimize them for the targeted keyword phrase(s) and to comply with best practice for search engine optimization. New content is often needed to reinforce a website’s relevance to targeted search terms. If necessary and with your approval we will optionally research and write 300 word original content articles. The text will be optimized for one or more (usually more) targeted keyword phrases, keyword saturation, and have continuity that blends with and links to pages within your existing website. You must, as the subject-matter expert, validate all articles for content accuracy before they are published. We are a team, and you are the expert. After receiving client approval, we will use the articles to generate additional traffic and ultimately to attract links. After a month to establish your site’s ownership of the content (and the search engine indexing of appropriate author designations), the articles will optionally be shortened and suitably revised to provide additional exposure for the articles. The revised article summaries will then be submitted to a single reputable article directory and identified in social networks. This increases social awareness of your site and serves to establish inbound links. Directory listings help build authoritative links to a website. There is a wide variety of directories online, both paid and free. We will select a few reputable online directories and submit your site to them slowly to avoid penalties. We will be considering unique content, strategic placement, timing and advantages to the business as we proceed. Each directory is selected for trust, authority and influence. On-site linking is a critical element for SEO success. Links are used to define themes and Silos and promote strategic keyword relevancy helping to establish you as a subject matter expert. Pages are added or changed for your project’s targeted keywords, and provide anchor text optimization for all related links for the project pages. Link building is a critical element for SEO success, and while some SEO naturally results in links, sometimes additional effort is needed. Earning high-quality links from external trusted websites is one of the best ways to build expertise and relevancy in the eyes of the search engines. We attract links through the creation of Link Magnets, thereby assuring that the link is natural, earned, and trusted. Links from trusted sites are required and we will select links that add value to your business website. The number of links is based upon what is natural and appropriate for similar sites. As a part of our link building process our team will analyze up to three competitor link profiles and identify a few sites that would be the best targets for additional link building for your site.